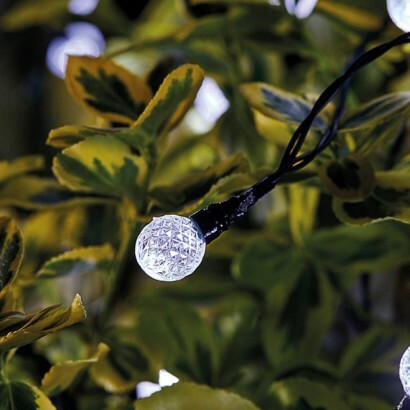 Multi faceted orbs are lit by ultra bright white LEDs to cast magical light effects into your summer garden. 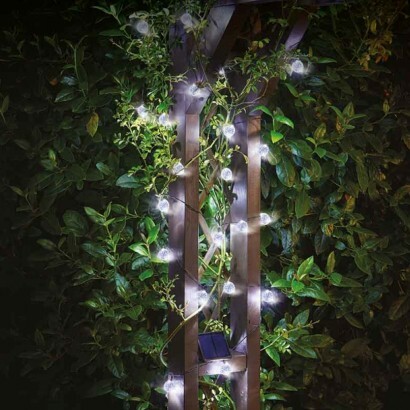 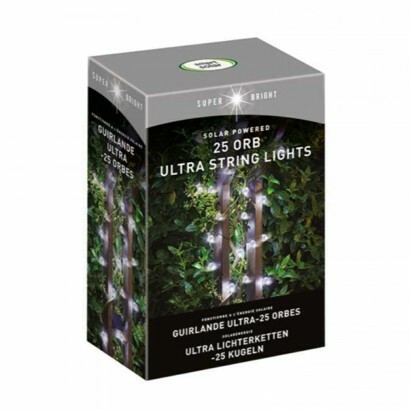 With 25 orbs and flashing and static functions, these magical fairy lights bring pure enchantment to your outdoor space adding character and a relaxing atmosphere that's perfect for lazy summer evenings. 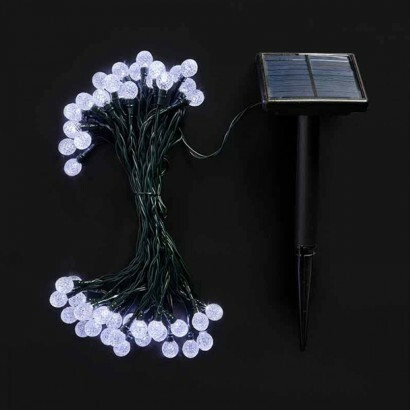 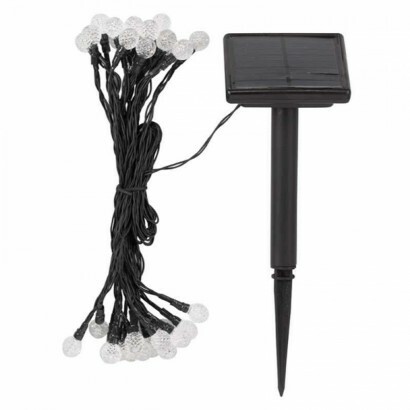 Solar powered, there's no need for mains wiring, simply place the solar panel where it'll receive maximum exposure to light and then decorate for beautiful fairy lighting night after night!